Perfect for any home this Antique French Style Small Nickel Table Lamp will make sure that your home will look stylish whilst it spreads light through any room you place it. 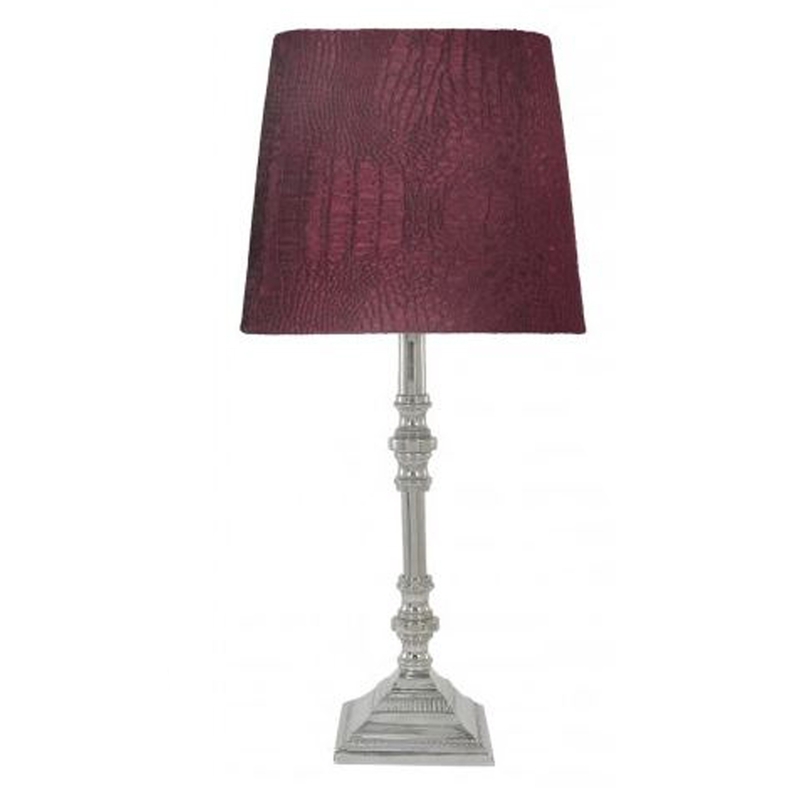 Features a gorgeous red crocodile 8-inch shade, this stunning table lamp will look wonderful on any style of table top surface due to its simple but beautiful look. A truly must buy item for anyone who is looking to add some style to their home and get that look we all desire.